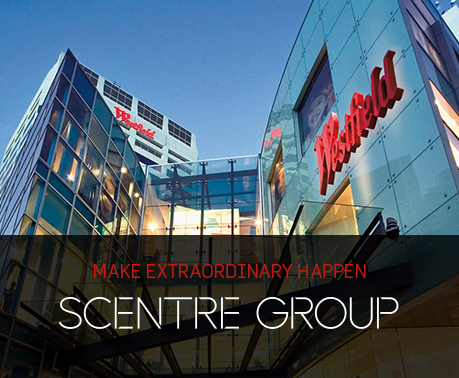 Scentre Group owns and operates Westfield centres in Australia and New Zealand. Our purpose is to create extraordinary places, connecting and enriching communities. We partner with the world’s leading retail and luxury brands, home-grown entrepreneurs and local game-changers, redefining the retail, hospitality, leisure and lifestyle experiences for over 530 million customers we welcome through our doors every year. Westfield Eastgardens is located approximately 10 kilometres from the Sydney CBD in the city’s south-eastern suburbs and is one of the top 30 shopping centres in Australia. The centre caters to a trade area population of approximately 303,000 residents. It is home to some of Australia’s most trusted retailers including Myer, Big W, Kmart, Target, Coles, Woolworths, and ALDI. There is also a Hoyts cinema on site as well as a broad mix of retailers including approximately 280 specialty stores. It is a dynamic centre with a broad range of customers and local influences. As part of the National Facilities Management team you will support our Asset Teams in delivering extraordinary experiences every day. You will be responsible for the integrated management and maintenance of the infrastructure in each of our assets, ensuring life safety, regulatory compliance, operational efficiency and innovation; enabling each asset to achieve its full potential. Reporting into the Facilities Manager, the Assistant Facilities Manager plays an integral role in ensuring that the facilities services within Westfield Carousel are maintained and continually improved for an optimum service delivery to our customers. Ensure all asset team members and service providers deliver operating practices that adhere to all relevant statutory requirements, Codes, standards and authority requirements (eg Administration procedures, CMMS). 7+ years’ experience in retail, hospitality, property, facilities management or similar customer centric environment. Diploma or tertiary qualifications in Engineering, Trade, Building Services or Facilities Management. Join the Scentre Group community and see the fruits of your labour come to life. This is an exciting opportunity for a strategically minded Assistant Facilities Manager to make their mark at Westfield Eastgardens!